Tag:why white led has a blue chip inside ? According to reported that, although white LED bright light such as sunlight is generally warm, but it has a pure "blue chip." 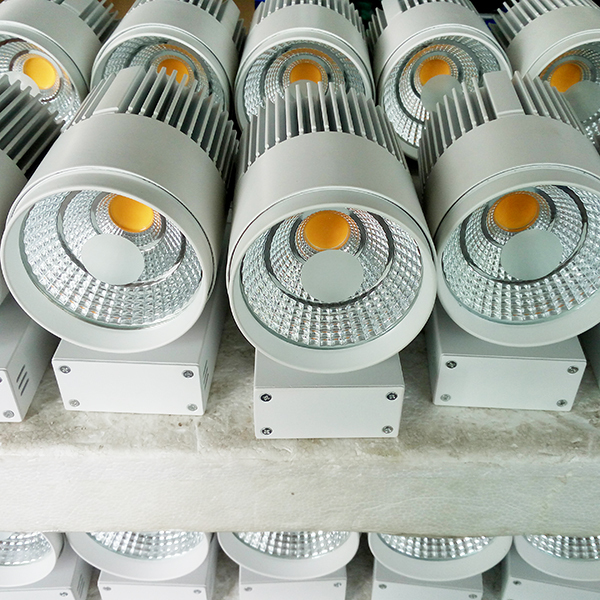 LED is a semiconductor light-emitting diodes. Typically, the white LED is a blue-emitting LED chips and blue light excitation can emit yellow fluorescent conversion material. Blue light fluorescent material after power changed after the chip emits yellow light, the yellow and blue mixed get the remaining white. 20 1960s and 1970s, red and green LED have been invented, but the other one color white primary colors - blue LED has been unable to obtain. Blu-ray with respect to the red and green light, the photon energy is higher, suitable for the production of blue LED material growth is difficult, after a lot of research institutions are frustrated chose to give up. But some people have so little perseverance, and finally created a miracle. In 1989, Japan's Isamu Akasaki and Hiroshi Amano mentoring to overcome the difficulties for the first time developed a blue LED. At the time, the blue LED light is very weak, there is no practical value, but it inspired hopes of a blue LED research enthusiasm and hope. In 1993, Nichia working Shuji Nakamura successfully developed a high-brightness blue LED technology, the blue LED to practical use, really opened the era of LED lighting. Their persistence and dedication, and ultimately get rid of the 20th century, impossible blue LED prophecy. Achievement blue LED white LED lighting, white LED turn blue LED power topped the 2014 Nobel Prize in Physics podium. Showing its extraordinary significance. We can do a calculation to learn more about changing the blue LED next to the Nobel aura of our lives. According to incomplete statistics, the world consumed about 20 trillion kwh of electricity per year, of which about 19% for lighting, if all incandescent (electro-optical conversion rate of about 10%), fluorescent light (electro-optical conversion rate of about 30%) replaced white LED energy saving lamps (electro-optical conversion rate of 50% or more), then the annual global savings of at least 1.52 trillion kwh of electricity, also with respect to the reduction of about 500 million tons of coal and reduce carbon dioxide emissions by about 13 million tons, reducing sulfur dioxide emissions by about 420 tons. These data demonstrate a real great wisdom and high energy little blue core. We have reason to believe that the white lights blue chip set will illuminate future!